Asian Agri’s longstanding partnership with palm oil smallholders has often been seen as a successful case study of governance in the regional palm oil industry. With an annual production capacity of 1 million tonnes of palm oil, Asian Agri leverages best management practices to ensure its operations are not only efficient and sustainable, but beneficial to its partnering smallholders (Plasma schemed or independent), the wider community and the environment. For instance, its multifaceted and multilayered guidance (e.g. best quality seeds, training, equipment, consultation/engagement) provided to smallholders has led to increased plantation yields. Recent news reports (here, here and here) covered one Asian Agri initiative that brought together less experienced smallholders (from Gonting Malaha Village in Pulau Bandar, Asahan) and their more experienced and successful counterparts (the Amanah Association in Srimulya Jaya Village in Ukui District, Pelalawan). 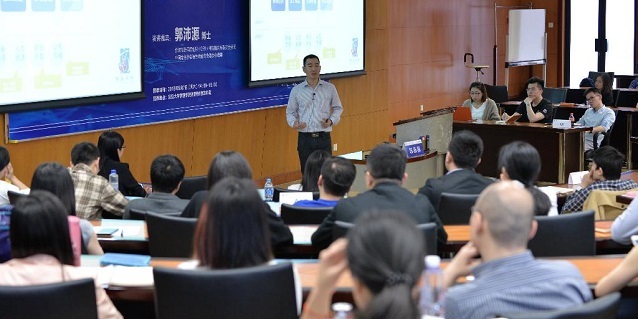 The visit took place on September 28 to 30, 2015. Asian Agri organised this learning visit to provide a platform for the Gonting Malaha smallholders to learn from the Amanah Association. The Amanah Association comprises Asian Agri-partnered independent smallholders who have successfully managed oil palm plantations through a variety of good practices. It is also the first RSPO-certified group of independent smallholders in Indonesia, having received numerous awards in recognition of its agronomic practices and social responsibility. The knowledge exchange covered the best agronomic practices, which included oil palm plantation management, cultivation techniques, pest management, fertilisation and safety. Learning visits like these, which involve verbal and practical demonstrations of good plantation practices, complement Asian Agri’s existing knowledge management initiatives, sustainability policy communications and smallholder outreach efforts. 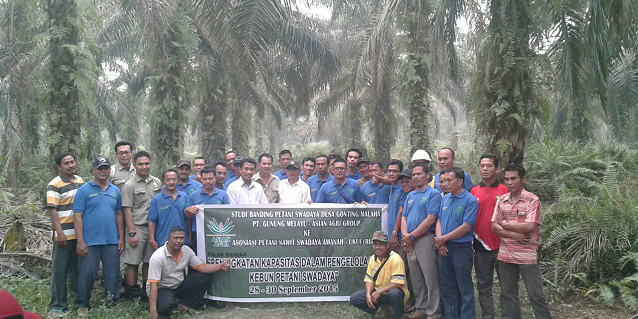 These initiatives also help to harmonise best practices across all of Asian Agri’s smallholder partners, while empowering them to be competent and knowledgeable managers of their oil palm plantations. 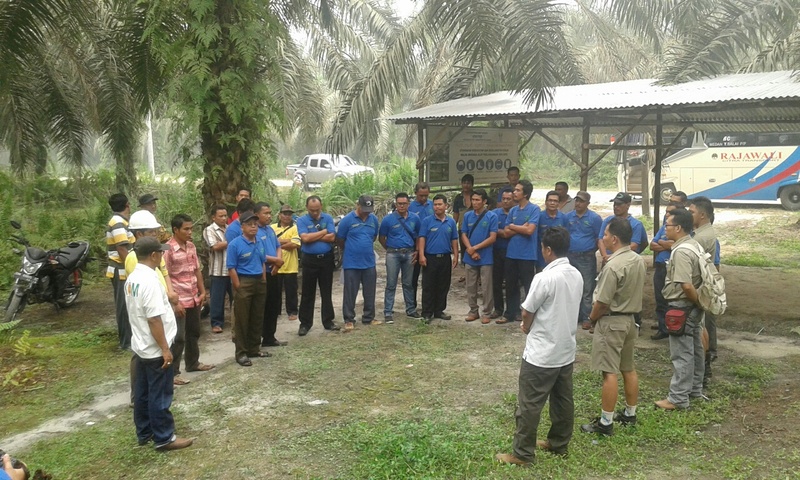 The visiting group of 21 persons from nine palm oil farmer groups was hosted by Amanah Association leader H. Sunamo. In addition to plantation management techniques and practices, Mr Sunamo also shared his experiences forming the association and maintaining unity. He emphasised the importance of working together and being empowered as a collective unified under a common vision and mission. Mr Munarwan, secretary of Gonting Malaha Independent Smallholders expressed his admiration at the achievements and standards of the Amanah Association. He called the learning visit an “eye-opening experience”. Both groups recognised the importance and impact of partnering Asian Agri in raising the standards of smallholder-managed oil palm plantations to those of an oil palm company. Asian Agri itself also sees benefits in using its position as a well-equipped and knowledgeable enterprise to help its smallholder partners. 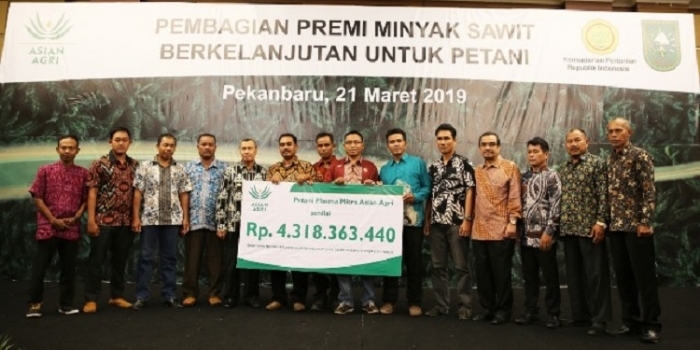 To date, Asian Agri has reached out to over 5,075 independent smallholder families, covering a total 17,095 hectares in North Sumatra, Riau and Jambi. The engagement has seen tangible benefits in knowledge transfer, increased yields and economic growth in the communities.